And that's just for the wings and guac. It may seem sacrilegious to admit it, but I’m not a sports fan. That doesn’t stop me from loving the Super Bowl, though. And I know I’m not alone. Many Americans cherish Super Bowl Sunday as the annual holiday on which we can cook absurd quantities of food that are simultaneously low-brow and decadent. But on this holy day, whose gluttonous heights rival those of Thanksgiving, it’s worth stepping back to look at what it takes to feed our excess. Specifically, how much land does it take to produce some of the food we eat on Super Bowl Sunday? We’ll break down two popular Super Bowl food items to examine just how much it takes to grow enough food for one glorious day of eating. The National Chicken Council estimates that American football fans will consume 1.33 billion chicken wings this weekend, up 6.5 percent from 2015. This number may sound unfathomable, so let’s break it down. It takes 665 million chickens to produce 1.33 billion wings (since each chicken has two wings). Free-range chicken farmers keep anywhere from 50-200 hens per acre, so at a conservative rate of 100 hens per acre, it would take 6.65 million acres — about 8.5 Rhode Islands or about five million football fields — to produce 1.33 billion chicken wings. 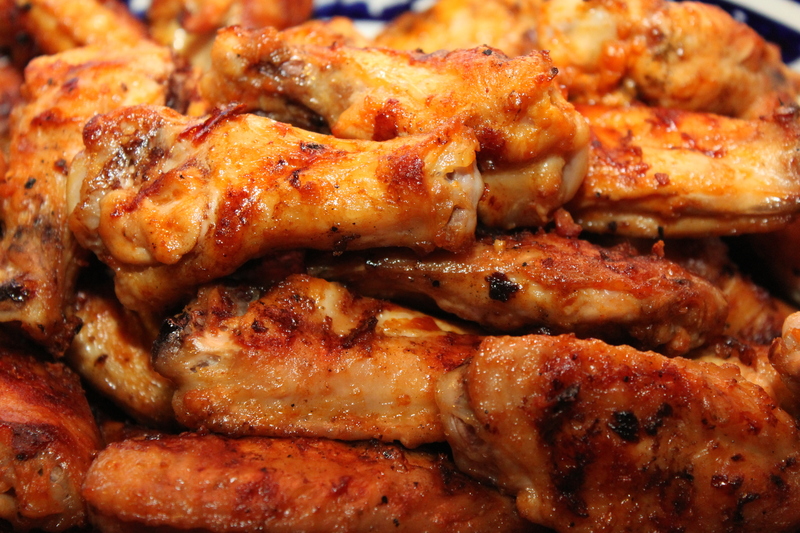 Enjoy your wings even more, knowing how much energy went into putting them on your plate. 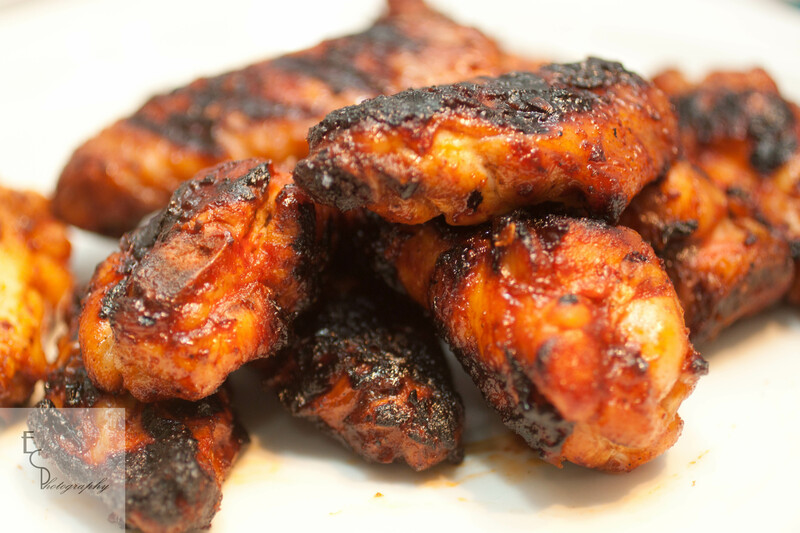 But most chicken wings are not produced by farms that pasture-raise their hens. Most chickens in the United States are raised in concentrated animal feeding operations, warehouses in which the hens are fed grain until they reach slaughter weight. The Penn State Agricultural Extension estimates that it takes nine pounds of feed to raise a chicken to its five-pound slaughter weight over five weeks. University of Wisconsin’s Agricultural Extension estimates that an acre of corn will yield from 3-6 tons of dry grain. So if we use a generous estimate of five tons of corn per acre, one acre of corn can feed 1,111 chickens. At that rate, it would require nearly 600,000 acres — only about 77 percent of Rhode Island’s land mass — to grow the corn required to raise 665 million chickens to slaughter weight and supply America’s 1.33 billion chicken wings for Super Bowl Sunday. So even though those conventionally raised wings may not taste quite as good as their farm-raised sisters, they’re cheaper and take less land to produce. 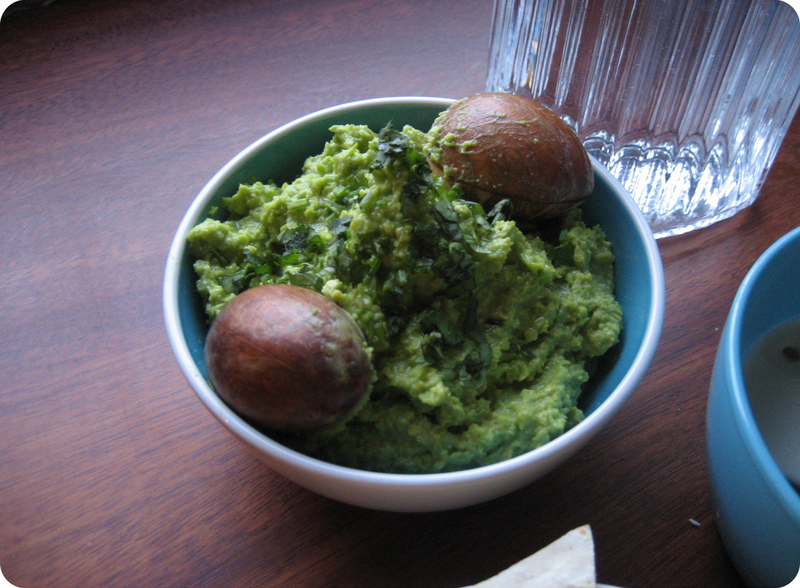 No respectable host can throw a Super Bowl party without whipping up a batch of guacamole. And even though the Florida avocados are cheaper and larger, any guacophile knows that the smaller Hass avocado is way more flavorful. These delicious green gems will play a crucial role in Sunday’s buffets, with the Hass Avocado Board estimating that Americans will consume 104.9 million pounds of avocados on Super Bowl Sunday. Unfortunately, Hass avocados come from California, whose agricultural regions have been experiencing devastating drought in recent years. In response to these dire conditions, farmers have begun employing high-density planting, which has boosted crop yields to 13,000 pounds of avocados per acre in some cases. At this rate of production, America requires about 8,000 acres to satisfy our Super Bowl avocado requirements, but that’s before you account for garlic, tomatoes, onions, cilantro, limes, or any of the other ingredients you might use in your guacamole. Numbers for the ancillary guac ingredients, as for many of the other foods we indulge in this weekend, are hard to nail down. For instance, Americans supposedly spend $227 million on potato chips, but it’s difficult to translate that to acres of crop land. An oft-repeated statistic says Americans will drink 325.5 million gallons of beer this weekend, but we can’t find a reliable source for it. Plus, it seems way too high. If this number is true, then every American man, woman, and child would have to drink over a gallon of beer this weekend on average. That’s absurd, but it hasn’t stopped people from repeating the number. We’ve decided to stick to wings and guac, if for no other reason than to put into perspective just how massive our food system is. Eat to your heart’s content on Super Bowl Sunday, but we hope you’ll now be able to appreciate just how much it takes to get those wings and guac onto your plate.